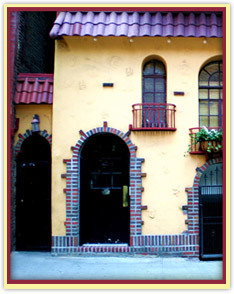 Cornelia Street is a charming landmark street in Manhattan’s West Village. It is located just at the intersection of West 4th St. and 6th Ave.
At the other end is Bleeker St. Many subway stops are close to Cornelia St. The 6th and 8th Avenue Subway Lines all stop at West 4th St./ Washington Square. These Lines include, but are not limited to, the A,B,C,D,E &F trains. This stop is for both express and local trains and is literally around the corner from Cornelia St. The 7th Ave Line stops at the Christopher Street/ Sheridan Square stop. This includes the #1 & 9 Trains. It is a local stop. It is only a 3 min. walk along W. 4th to Cornelia Street. You will turn right into Cornelia just before it touches 6th Ave.